Our second graders, like most around the nation, are building their framework of understanding around place value. Each day they have math class, where we use the Everyday Math program. They do Math Boxes and homework sheets. 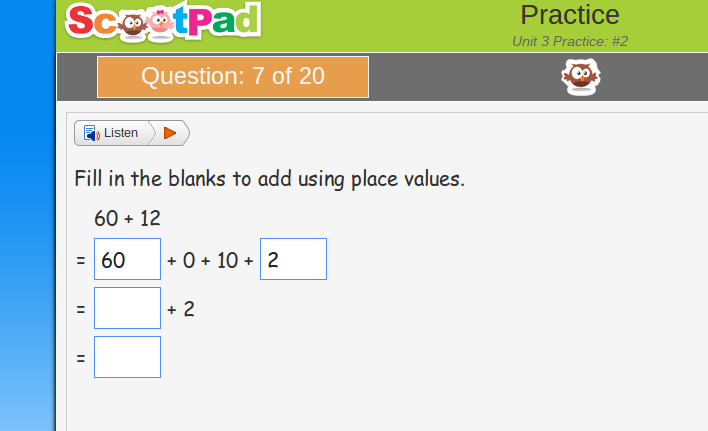 And if you ask them if they understand place value, they will tell you they do. Until they need to actually use it in a new context. That’s when some of the tools on ScootPad can make all the difference! The other day, we had a ScootPad station set up. While working with another group, I happened to look over and see my student Astera typing on Latisha’s, computer. “Oh, Latisha asked me to do the problem for her. She doesn’t know how.” After a brief conversation with both girls about the importance of only doing your own work, I sat with Latisha. She stared blankly at the problem. “I have no idea what to do,” she mumbled quietly. Applying place value skills is not as simple as it looks. “Let’s just start at the beginning.” So we walked through what the problem was asking (see image, above). Many of my students are second language learners, so reading and understanding the question is actually another layer of learning for them. The number of steps was also throwing her off. Color can really help pull out the concepts! 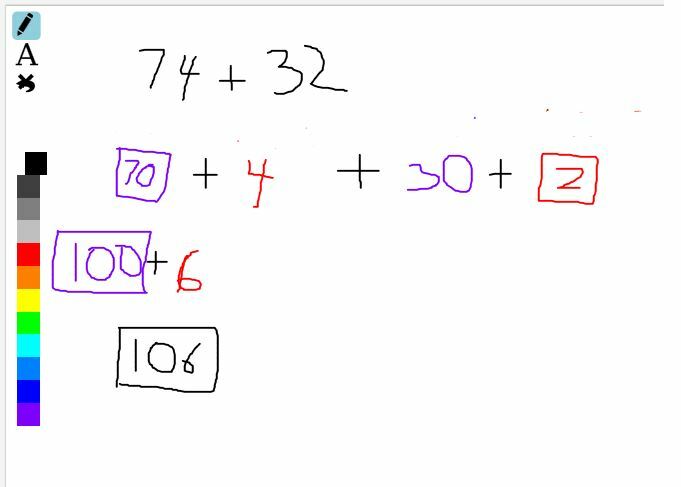 To help her visualize the problem, I used the scratchpad to draw out each place value in its own color. This visual set up really helped things click for her! While sometimes the scratchpad is cumbersome on our Chromebooks, having access to color tools literally at our fingertips can really simplify learning! After only 1 more example, she was ready to tackle it on her own, and do it for herself!